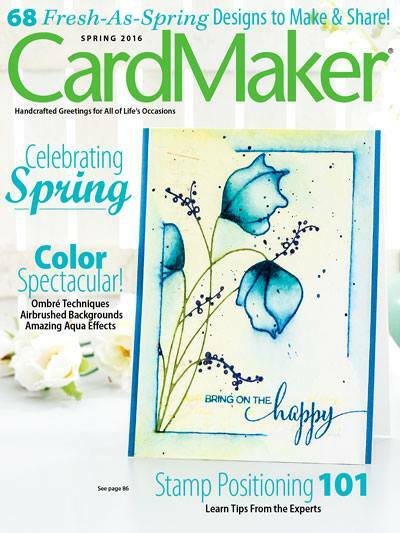 Have you been following the blog at Penny Black this week? You must go check it out as they are having a new color combo challenge daily, but you have until September 27th to play along. What gorgeous colors...very non-holiday, but works well together. Oh, so you noticed it says Colorful Christmas...well, my holiday stamps have not arrived so I just went with a Fall theme. 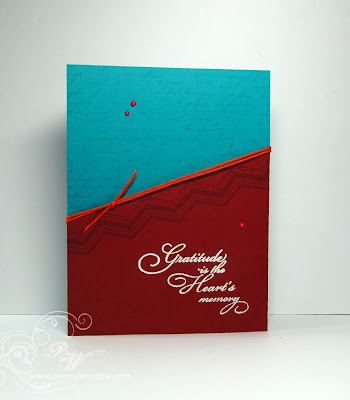 Simple, clean lines, gorgeous colors...a 10 minute card...LOVE! 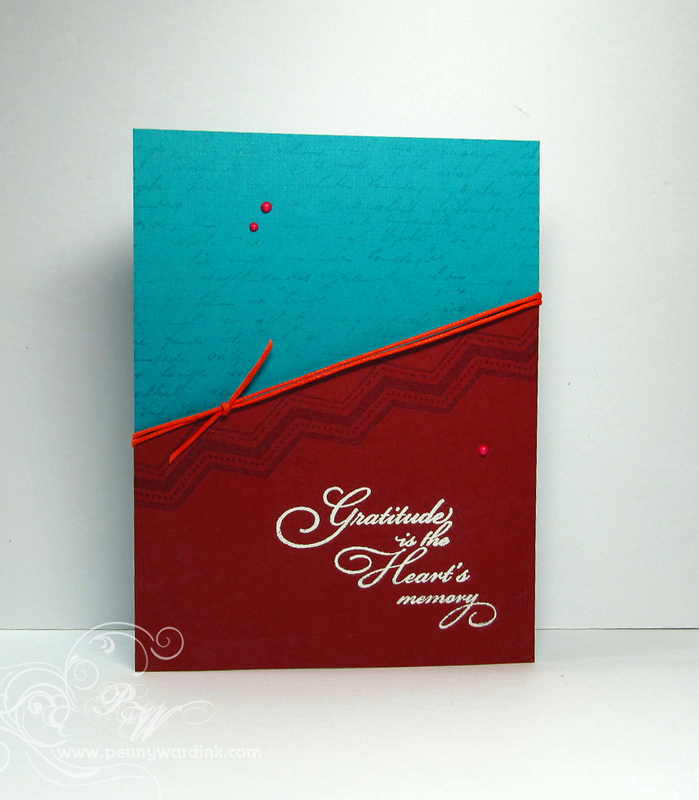 I used Penny Black stamps: Puzzle Parts (30-114), Letter Background (1999L) & Gratitude (30-105). I spy...Fall colors & lines. Oh, you have used those colors so beautifully!! Bold and beautiful! Awesome card for the fall season. 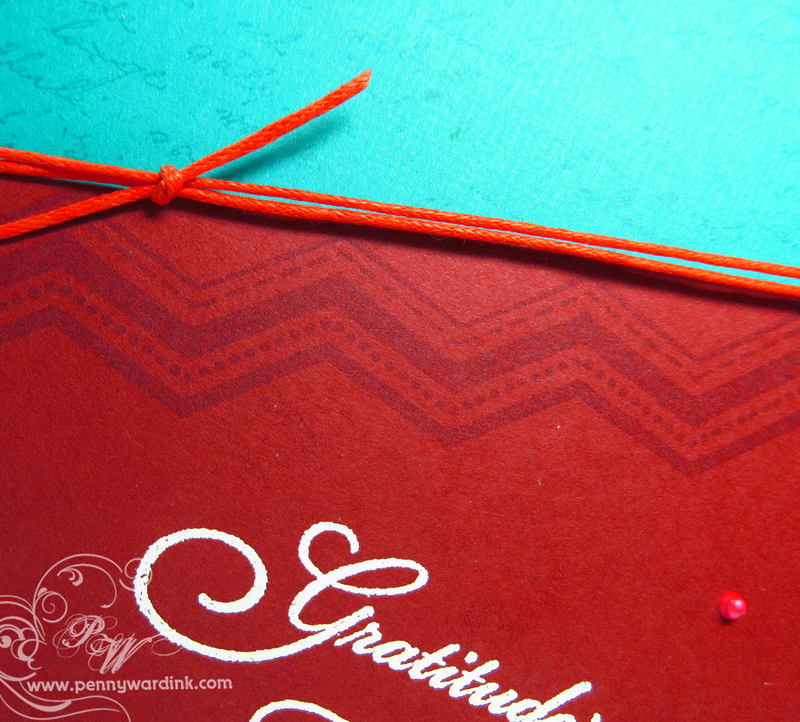 These colors are so rich and beautiful together, Penny! 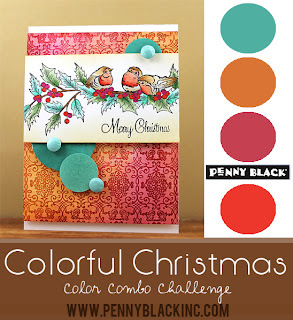 another fantastic take on the color combo, penny!